I just love the graduation gift idea that’s gone viral recently (you can read all about it here) and I couldn’t let it pass us by. It’s pretty simple, but you need to be in the position we’re in now: Our kids are still young. Maybe pre-school is a bit early to start, but they adore their teachers. With her freakishly amazing memory and memorable teachers, I’m sure there’s no way Chloe will forget them. Cora is 2, although she will be in the same school next year and we know some of her teachers socially as well. I really think that even the preschool teachers will be cherished for us. It’s pretty simple, but does require a little organization. 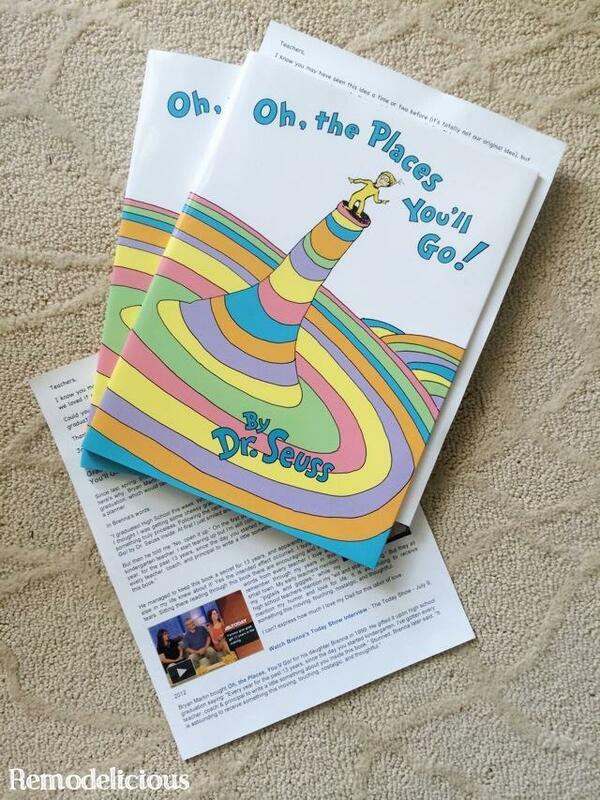 You buy a copy of Oh, the Places You’ll Go and ask your child’s teachers to sign it every year. I included a short note with a copy of the article linked above to let any teachers who haven’t heard of this gift know about it. If you’d like to borrow mine, I’ve included a .DOCX & .PDF version for you to download for free below. I’ve heard already that many teachers have signed several of these, but I know we can stick with it after doing weekly photo shoots of both of our girls’ first years and my knack for organizing artwork, photo books, and other items.